Structural contribution for Gaduo nunnery!!! Könchock Foundation Education Project 10 years! More visitors for the Gesar Community Centre! Gesar Praying House crowned with Stupa! The Gesar Fund invests in education! Poverty Alleviation is one of pillars of the Gesar Fund focus points. 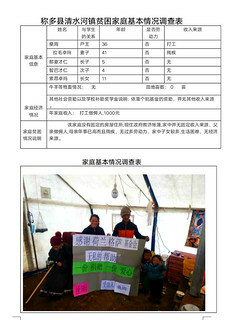 Last month the local volunteers deceided to support 4 nomad families with a one-time donation of 1500 yuan (~200 EUR / ~226 USD). Those families had to endure extreme hardship. In one family the husband died, and the (ill) wife had to take care for the children alone. In another family both parents are very sick, and the children are raisedby the grandmother and sister. The local volunteer have (within a certain budget) total freedom in spending money on ad hoc poverty alleviation. Apart from our projects there are circumstances which do need immediate acting! Acting uncoditionally only is posiible thanks to your donations. 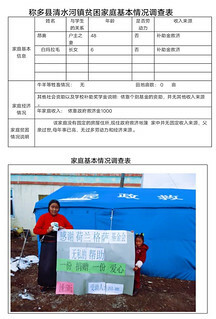 The Gesar Fund thanks all donators! !